Chandigarh: The Punjab Congress today ridiculed the immediate and the extended family of Chief Minister Parkash Singh Badal for being synonymous with corruption and said the people in the state had a right to know as to how a “humble” farmer family with average holding had multiplied its wealth thousands of times during the last few years. In a statement issued here today, party General Secretary Rajanbir Singh said Badal and now his estranged brother Gurdas Singh Badal used to have a small transport company by the name of Dabwali Transport. While the family of Gurdas Singh Badal which had almost the same size of holding as the Senior Badal family had not made any money, the ruling Badal family had multiplied its wealth exponentially. This had happened mainly whenever Badal had become the chief minister. The PPC spokesperson and General secretary said the people had not forgotten that the Gurgaon plot on which Badal’s seven star hotel had been built after coming into power in 1997 was resumed by the Haryana government as the family had no money to pay the arrears. He said the people had also not forgotten the fact that the Sector 9 residence of the Badal family was bereft of any good furniture forl years. Now this family was coming up with another seven star resort in the vicinity of Chandigarh connected to the Chandigarh airport with a six lane highway which had been planned at the cost of the Exchequer keeping this hotel in view. He said before casting aspersions on others, both Parkash Singh Badal and his son and Deputy Chief Minister Sukhbir Singh Badal must share this grand formula of overnight success with the people as the state was in deep crisis facing a mountain of debt with lakhs of unemployed youth looking for employment avenues. He said the people of the state had also the right to know as to how the menace of addiction had spread like epidemic in the state. The smuggling of narcotics was not possible without police and political patronage. He said it was the Akali Dal-BJP alliance which had been ruling the state since 1997 barring five years of Congress rule and as such, it was Badal himself who was responsible for whatever was happening in the state. He said it was now talk of the town as to who were the politicians who had patronised drug smuggling in the state. There was just one name which was on the lips of each and every person in the state and the man was part of the extended Badal family. He said Arun Jaitley could foretaste his defeat in Amritsar when this state of affairs was made known to him. Rajanbir said it was also known to the people as to how Badal Junior had pressured some transport companies in a bid to take them over. Even small transporters were now feeling threatened. He said after drugs, illegal mining of sand and gravel and transport were the other areas dominated by the mafia controlled by the Badals. 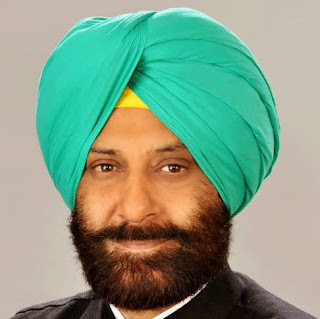 He said the Badals should learn a lesson from the humiliating victory of Harsimrat Kaur Badal in Bathinda who could just manage to scrape through, despite the fact that all the last five years, Bathinda was under special focus. The people of Bathinda had shattered the myth of the so called invincible strategic planning of Sukhbir. He said it was the mafia operations which had made the people angry against the Badal government and the same was reflected in Bathinda.